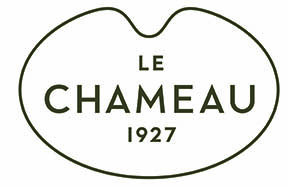 Men's warm, neoprene lined boots from Le Chameau. Mens version with a 41cm calf. Lined throughout with 2mm premium neoprene, the Vierzonord provides first rate insulation against the cold and superior comfort when walking. The gusset and snap-fastening buckle design, exclusive to Le Chameau, eases entry into the boot and tightens around the calf. Practical features and technical materials make the Vierzonord the number one choice for British winters. Sadly, having worn this make and model for YEARS and LOVED them, my new pair is disappointing in that they seem to be made out of a thinner material so that one can no longer just slip ones feet into the boots ‘hand free’. I now have to hold the boots open at the top to enable me to put my foot in which I find infuriating. With the cold weather approaching I had shopped around for neoprene lined wellies for quite a while. I had looked at other makes such as Hunter these from Le Chameau where by far the most comfortable and well made. Best In The Country were also the best price and were delivered the next day. Excellent service!